Ayurveda, an Indian medical science of life is gaining much popularity in India as well as in abroad. It is necessary to explore this science on the lines of modern technology for its more acceptability and popularity, Majority of the modern clinicians are not aware about these medicinal plants, though a keen interest is developing among these physicians about this ancient science. As Ayurveda is elaborated in Sanskrit and it has its own fundamentals, which are described in Ayurvedic terminologies, the modern medical and paramedical pupils are not able to understand the basic concepts of this science. As a result, many a times medicines prescribed by an Ayurvedic clinicians are ignored by the modern clinician. The basic concepts of Ayurveda and the medicines used in this system gives excellent results if used in proper manner With the help of modem technology much of the research work is undergoing related with this science to explore the benefits of the medicines. This work is proving to be helpful in giving better results to the mankind to ameliorate the life style of modern civilized peoples. After much efforts we have brought up this work for the modern scientist working in the field like medicine, pharmacology and biochemistry in such a manner that it may become easy to understand this science in their own language. This will help in the development and propagation of Ayurveda through inter disciplinary approach. 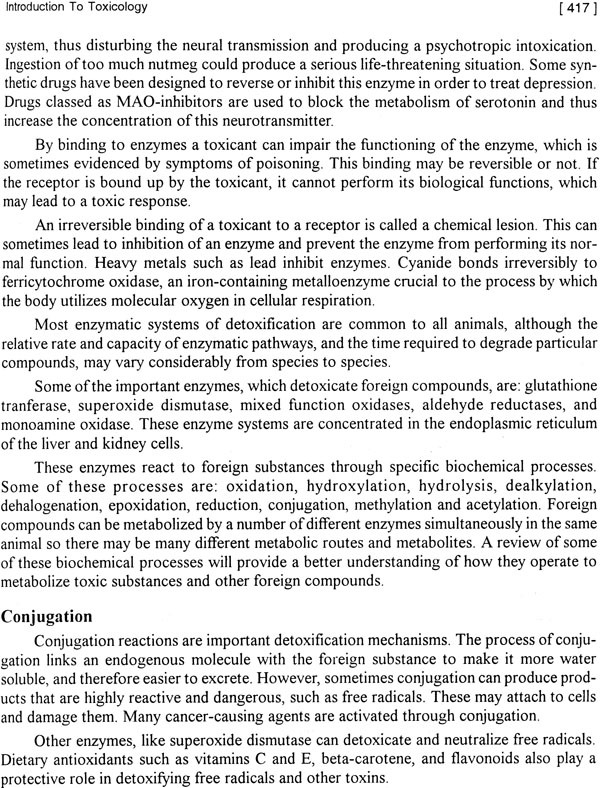 The book elaborates the contraindication, drug interactions, metabolism of many of the herbs with their detail chemical constitution and pharmacology. This will definitely clear the myths about this ancient science from the mind of modern clinicians and scientist. This book will also be useful to all medical practitioners in their day-to-day practice. Dr. Mukund Sabnis is a post graduate from Dr. Babasaheb Ambedkar Marathwada University in the field of Ayurveda. He has completed his post graduation in the subject Rasashastra & Bhaishajya kalpana in the year 1995. At present he is working in Jeevanrekha Ayurved Chikitsalaya and Research Center, Aurangabad, Maharashtra. He is doing his Doctorate in the field of pharmaceutical science. He has delivered number of speeches on All India radio and Doordarshan for propagation of Ayurveda he is one of the responsible person for the development of Atreya Pratishthan's Ayurvedic research and training center he has to his credit number of research papers in national and international seminars he is a reknowned Ayurvedic physician working in the field of Obesity. Herbs are used in medicine since antiquity. Rigveda, one of the oldest Veda had quoted the use of plants in medicine. Much of the medicinal plants are documented in the age-old medical sciences like Ayurveda and Chinese system of medicine. Nearly five hundred plants of vegetable origin are documented in Charak and Sushrut Samhita. These herbs are still used successfully to treat different ailments. The use of the herbs solely depends on the basic theories brought up by ancient scholars. 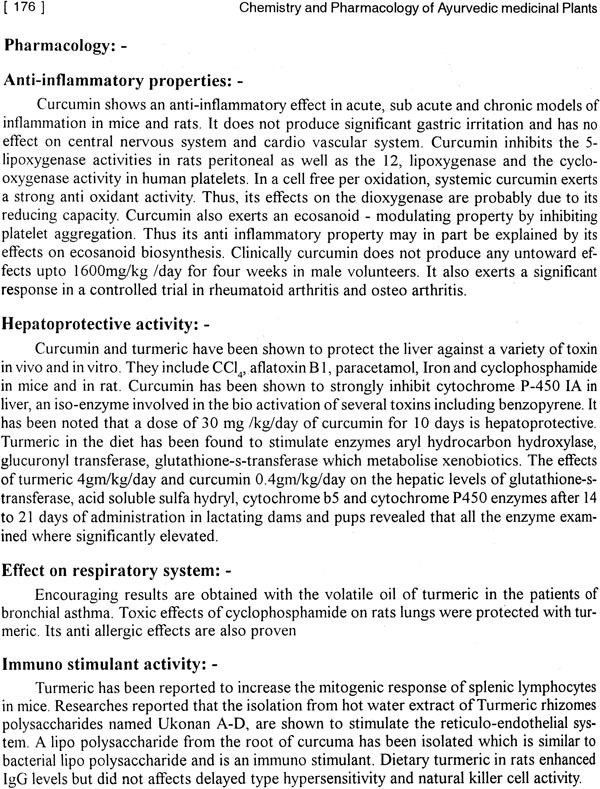 Number of pharmacological activities are attributed to these herbs. Quotations of wonder and miracle herbs are also found in literature. 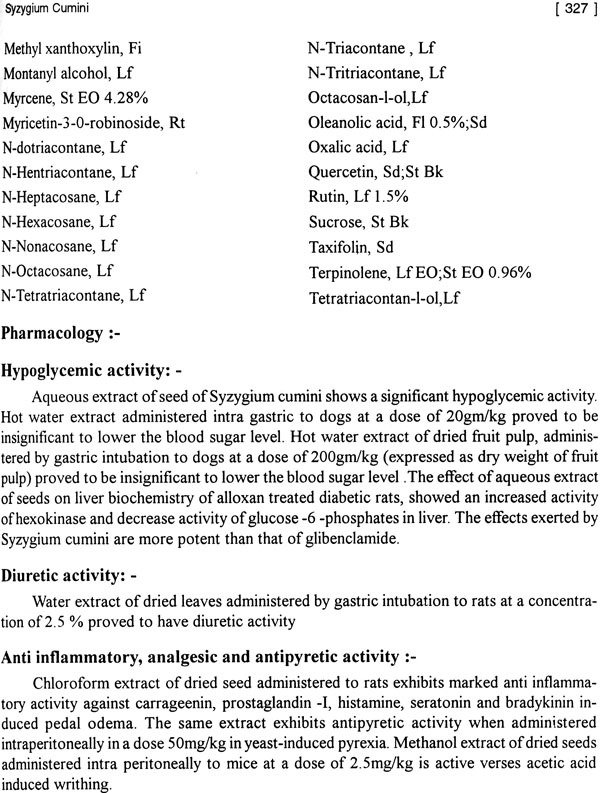 How- ever, these herbs require detailed taxonomical and pharmacological studies. Much diversity is seen in the described properties of the same plant, in different parts of country. Likewise, different plants are used under same name. People living in remote areas make use of these herbs in various disorders, which are still not documented. Thus, the observations made by these ancient people about the activities of these herbs must be scientifically tested. The results of clinical and pharmacological tests many a times do not match with the properties of herbs described by the Ayurvedic scholars. As a result, application of modern and scientific tests to herbs is a matter of question among the Ayurvedic practitioners. Though Ayurvedic science does not recommend the use of isolated alkaloids or extracts, they play an important role in developing newer area of research in pharmacology. These extract or active components of herb serve as a marker to identify the right herb and the adulteration made in the plant. As herbal medicinal plants are being explored on scientific grounds, they are having good demand throughout the world. To meet this demand people have started cultivating medicinal plants. The place of cultivation, the time of collection, the age and stage of plant influences the medicinal property of the plant. The correct time of plucking, the place of cultivation can be assessed by estimating the proportion of active component in the plant. Due to better demand of medicinal herbs adulterations by vendors have also increased. Thus, phyto chemistry is gaining much importance in the field of standardization of herbal medicinal plants. 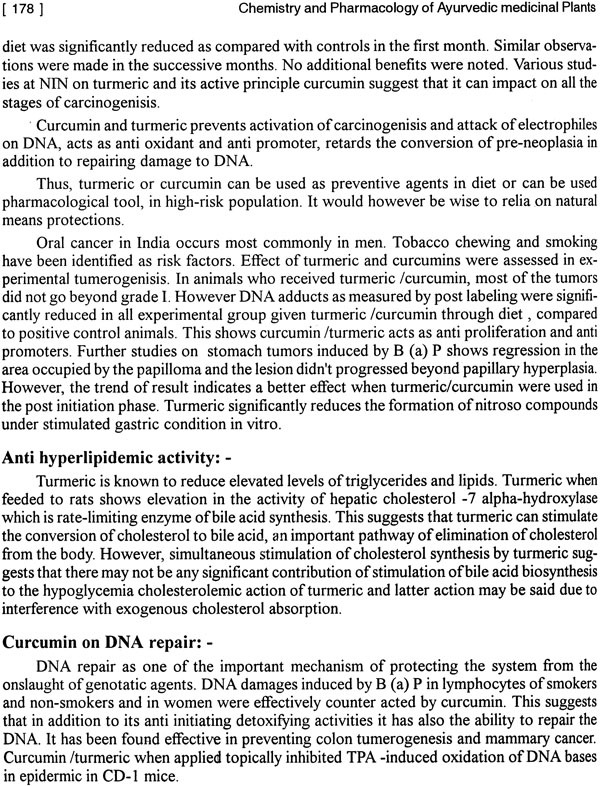 Practitioners of modern medical science are not aware of the pharmacological properties of medicinal plants. 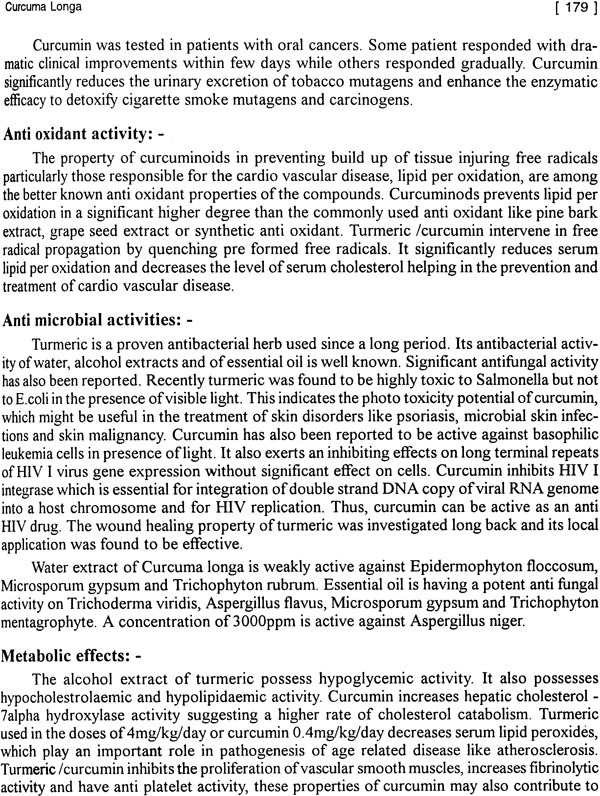 As a result, the use of medicinal plant is ignored by these people. The interpretations made by ancient Ayurvedic scholars about the pharmacological aspects of plants must be justified on modern scientific base. 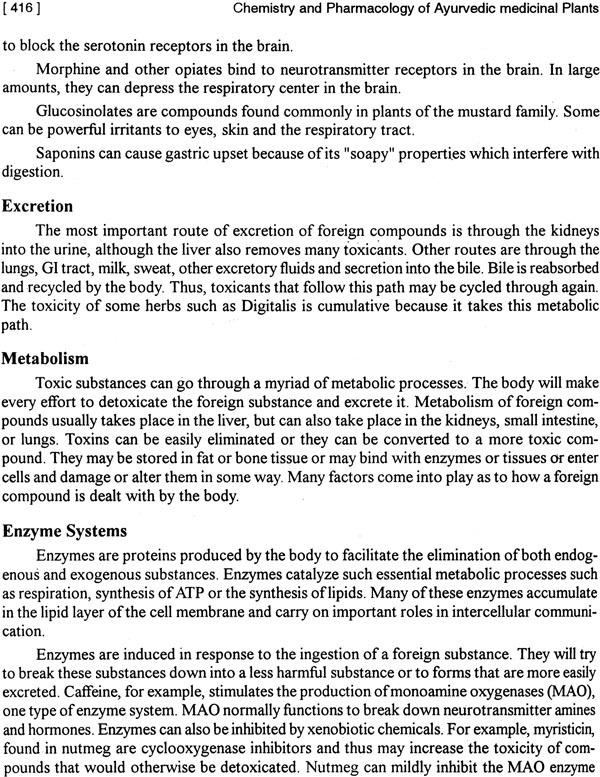 Hence, it is of great need to explore plants on biochemical grounds. This will gain good faith and acceptability of medicinal plants amongst the practitioners. Main intention of this book is to get a compiled knowledge about the phytochemistry and pharmacology of frequently used herbs to Ayurvedic and non-Ayurvedic practitioners. Newer topics like Introduction to Phyto chemicals, Free radical theory and Immunity are introduced which will help to develop contemporary information about medicinal herbs. For non Ayurvedic professionals introductory chapters of fundamental theories in Ayurveda are elaborated. Original references of the plants as per Ayurvedic texts are given that may help to compare with properties explored by modern research. A brief description of plant and their characteristics are mentioned which will give an idea about the structure of plant. 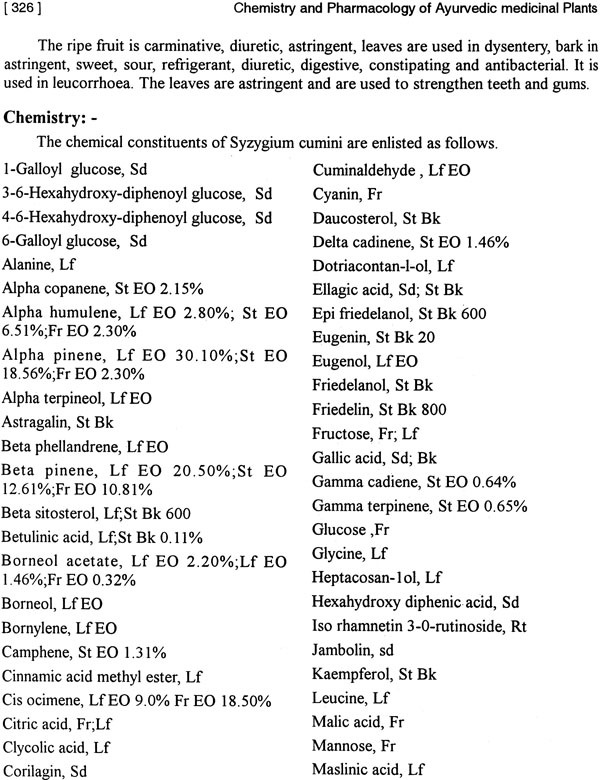 A list of phyto chemicals of each medicinal plant is given along with the chemical structure of active ingredient that will help the reader to develop additional information about the plant. 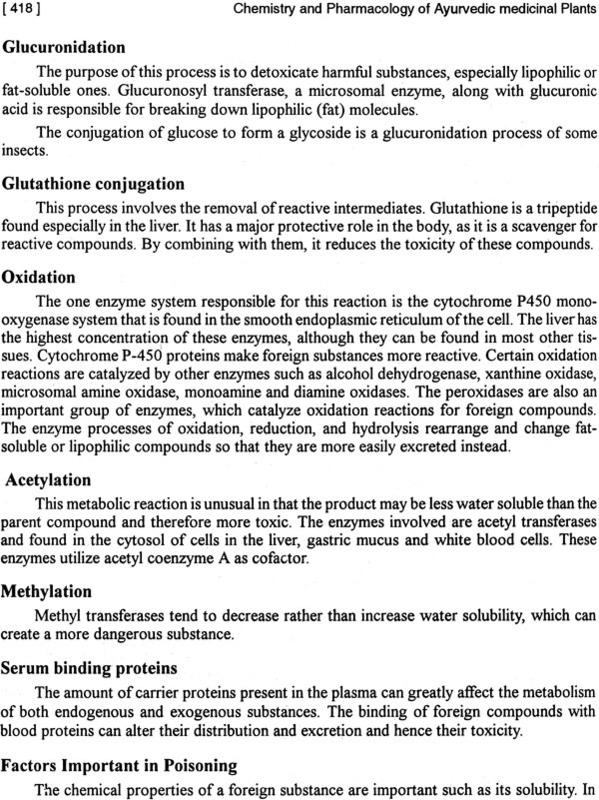 Detailed pharmacology and pharmacokinetics where ever possible is explained. Attempt has been made to present updated information regarding the plants. 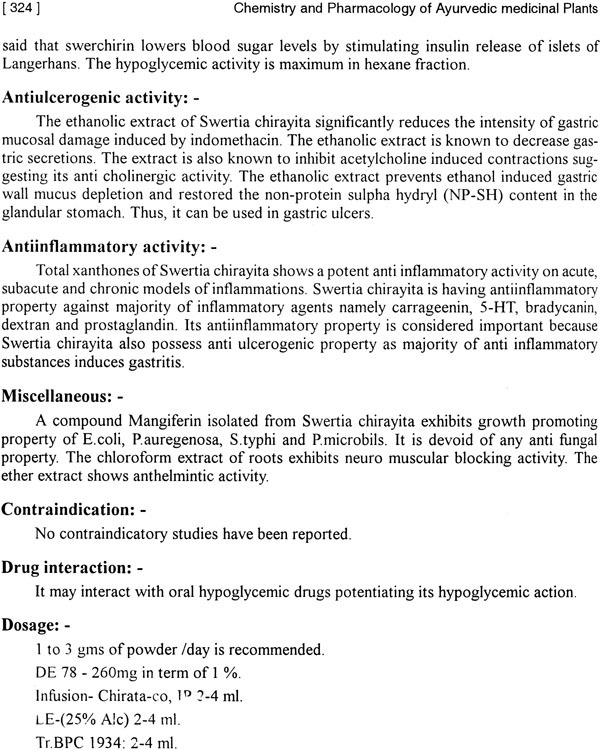 It is now acknowledged that herbs interact with one another and with synthetic drugs. The probable interactions are elucidated. Contraindications of herbs are explained which will help do avoid untoward effects and will facilitate to develop more precise treatment. This book deals with fifty five medicinal and eight poisonous plants, which are routinely used in medicine. Number of research journals from all over the world are scanned to compile this book. Available literature about the medicinal plants is so huge and scattered that some important references might be missing. Suggestions regarding the current references are anticipated. As this is first edition of this book there may be some lacunae. Valuable suggestions from the readers will be obliged. I am thankful to my teacher Dr.Shriram Savarikar Ex- Advisor (Ayurved) who gave his precious suggestions and encouraged me to complete this work. I am grateful to Dr. U.K. Halde Head, Drug testing laboratory Nanded who kept his library every time opened to collect references for this book. My wife V d. Kanchan Sabnis every time inspired me in this work. She looked after the hospital kindlheartedly, which gave me spare time to execute this work. I am thankful to her. Thanks to Shirish Hiswankar, Manjiri and Kranti for their help in preparing computerised print. Special thanks to Akshay who accompanied me while going through the laborious part of this work. Ayurveda is an ancient science of life practiced with an aim of preservation and promotion of health and alleviation of disease. In true sense it is an eternal science. The history of medicine can be traced back to existence of humans who since antiquity used to live in groups and societies in different areas of the world. Man suffered from different health problems and he tried to use various methods to get rid of these problems. Methods used to treat the illness led to form a system of medicine. Thus these ancient civilizations developed their own medicinal system along with their specific philosophies. The modern medicine, which is widely accepted today has its roots embedded in traditional medicine. Every country has its own traditional system of medicine, which helps to fulfill the needs of people living in that area. There is a great difference between the medicinal system and therapy. 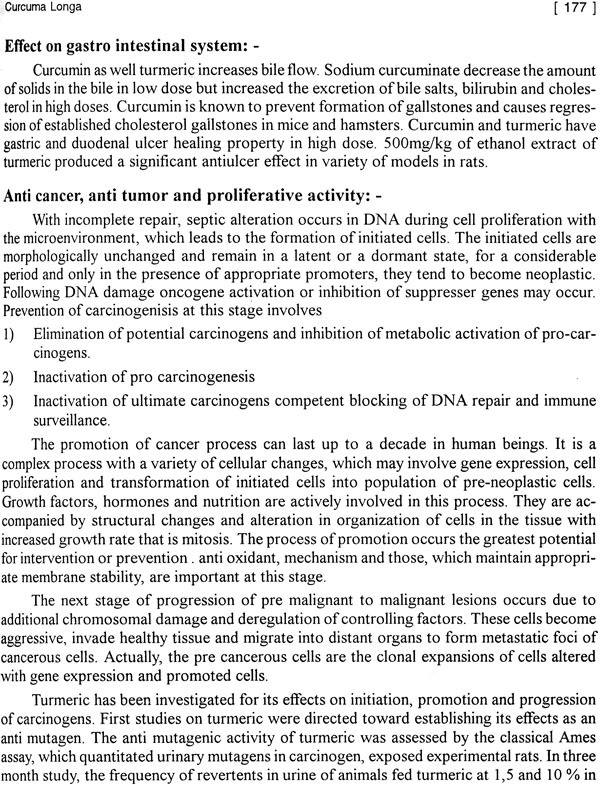 A medicinal system explains the cause, diagnosis, prognosis, prevention and cure for the disease and also has its own principle on which the complete system is elaborated. Therapy has a limited meaning, which is restricted only with the treatment. Ayurveda is not a therapy or therapeutic science with a bunch of therapies but it is a science of life dealing with all aspects of life. It is so deeply rooted in Indian culture that it has become a way of life in the Indian subcontinent. WHO has defined traditional medicine as "the sum total of all knowledge and practices, whether explicable or not, used in diagnosis, prevention and elimination of physical, mental or social imbalance and relaying exclusively on practical experience and observation handed down from generation to generation, verbally or in writing". Ayurveda is a system of medicine, which has a great tradition having its roots in Vedas. Knowledge of Ayurveda is scattered in Samhitas the age old books, which are named after their authors, are compendia of the Ayurvedic literature described in a very systemic manner. The samhitas are written in Sanskrit, which was the language in those days. Majority of the part of these samhitas is written in poetic form, which became easy to memorise. As in those days the knowledge was given from the teacher to student by word of mouth, the poetic form of the Samhitas was maintained. History of Ayurveda can be devided into three periods. The pre Vedic period is said to be around 6000 B.C. It is the period before the origin of Vedas. In this period many sciences were in developmental stage. Ayurveda a system of medicine might have got its initial literal form in this period. As per some of the scholars this system of medicine is originated from Lord Brahma who gave this science to Lord Indra through Dakshaprajapati and Ashwini kumar. Prevedic period is followed by Vedic period. This period is said to a time in which the four Vedas namely Rigveda, Yajurveda, Samaveda and Atharvaveda were written. The Vedic period falls between 6000 B. C. to 200 B. C. Much of the quotations of Ayurvedic system of medicines are found in Athavaveda. Number of diseases and its cures are described in Atharvaveda, though it does not quote any basic fundamentals about this system of medicine. Atharvaveda describes important organs of the body. It seems that the medical professionals knew the concept of Agni in those time. Cow's product like butter, buttermilk, curds, milk, cow dung and Cow's urine are used for medicinal purpose. Honey and ghee are also described. 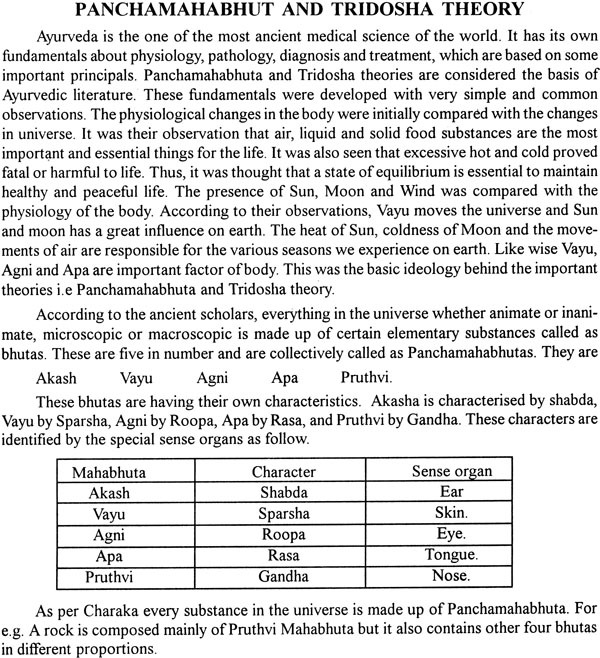 Five types of Vayus Prana, Udan Apana, Vyana and Samana are mentioned in Atharvaveda. 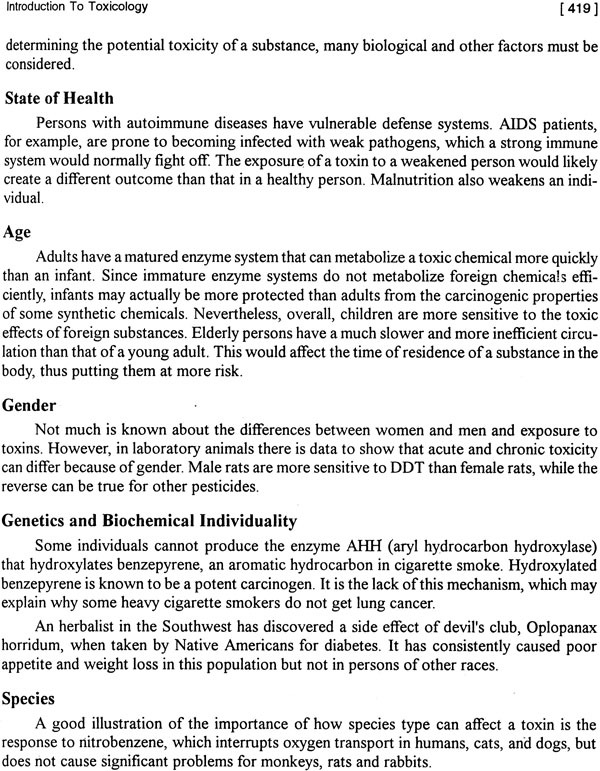 Disease like Kasa, Yaksma, Jalodara, and Kilasa are explained. Medicinal herbs like Guggul Kustha, and Shatavari are mentioned. It has been explained in Atharvaveda that water and wind produce disease. 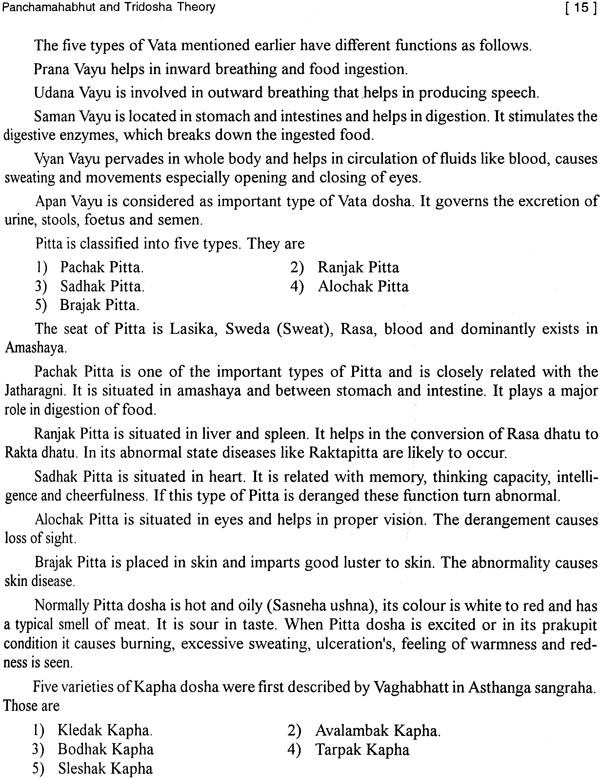 It can be said that the Vataj, Pittaj and Kaphaj classification of diseases is a seedling of classification latter established by Ayurveda. 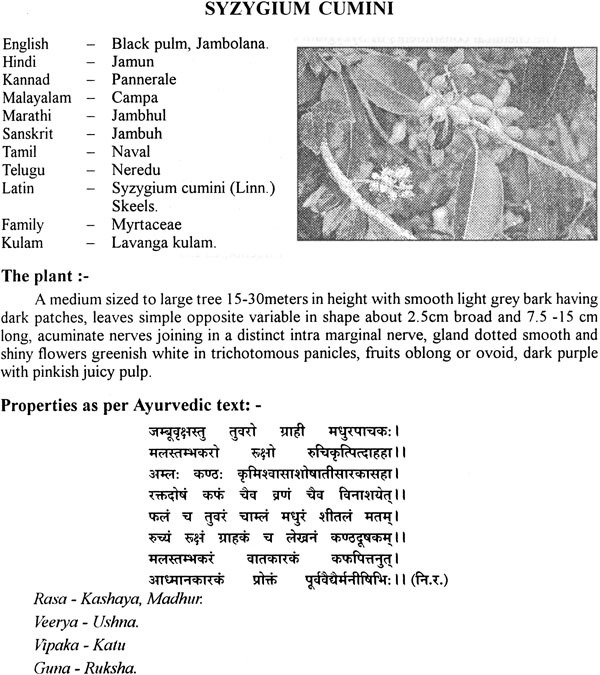 Because of this background Ayurveda is called as Upanga or branch of Atharvaveda. The Vedic period is followed by Arsha period. This is an important period for the development of Ayurveda, as much of the fundamentals of this ancient science were laid down in this period. During this era two different schools of thoughts, which are called as 'sampradaya', were developed. The first one is 'Atreya sampradaya' and the second one is 'Dhanwantari sampradaya'. This period is around 1000 B. C. Atreya developed the school of medicine and his disciples were Agnivesha, Bhela, Jatukarna, Parashar, Harita, and Ksharapani. All of these disciples wrote their own Samhitas however Agnivesha Samhita was well accepted. Further this Samhita was revised by Charaka and was named after his name, which is available today as Charaka Samhita. Aupadhenava, Vaitarna, Aurabhra, Pnshkalavat, Gopurrakshita and Sushrut were disciples ofDhanvantari who developed his own school of surgeons i.e Dhanvantari sampradaya, Sushrut wrote his compendia, which is available today as Sushrut Samhita. These two Samhitas Charak Samhita and Sushrut Samhita are considered as the base of Ayurvedic system of medicine. All the basic principles i.e. 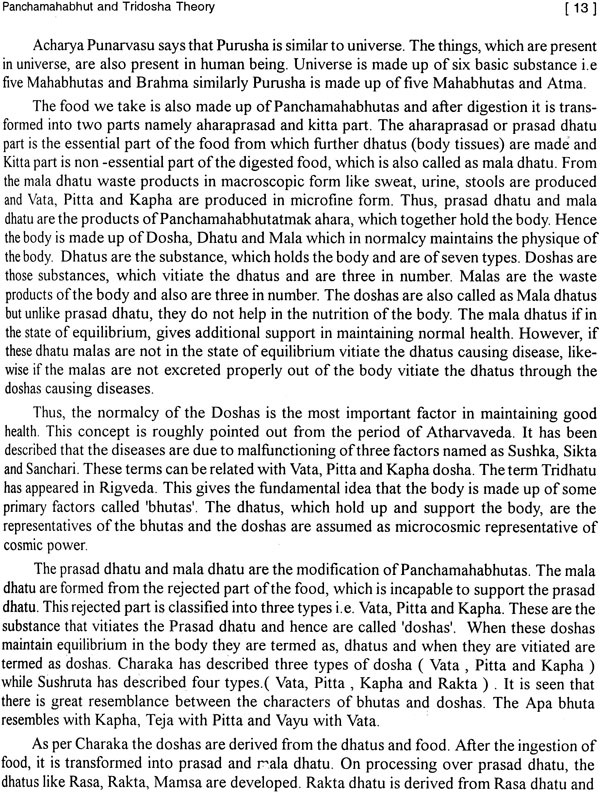 siddhantas of this system of medicine are well elaborated in these two Samhitas.